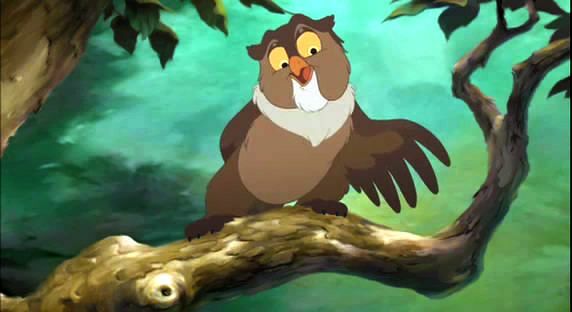 GREAT PRINCE OF THE FOREST: Friend Owl. GREAT PRINCE OF THE FOREST: Wait. I could use your help. Find me a suitable doe to raise Bambi. GREAT PRINCE OF THE FOREST: Me? You know as well as I do, a prince looks after the herd. Does care for the young. 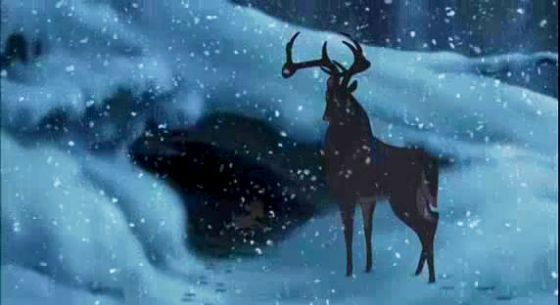 GREAT PRINCE OF THE FOREST: Until spring. FRIEND OWL: Oh, excellent. After all, who better to raise the young prince than the great prince himself?